Update - Kate Lauren Designs Zachary Hunter bedding now in larger sizes! 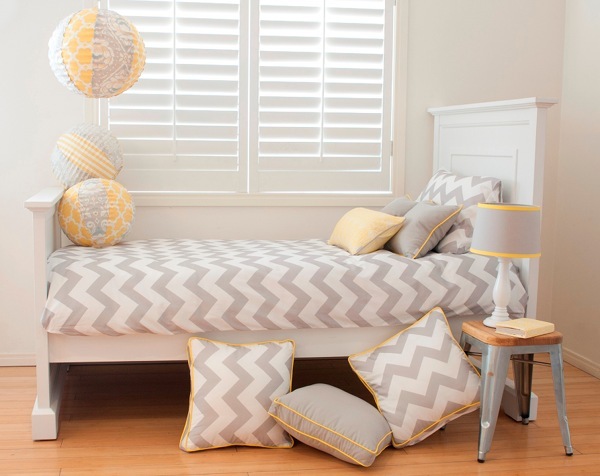 Update – Kate Lauren Designs Zachary Hunter bedding now in larger sizes! You coveted the Kate Lauren Designs Zachary Hunter cot linen in our November Prizeapalooza last year, and those of us with older kids remarked on the timelessness of the chevron pattern. Our hopes and dreams for those perfect children’s beds can now be realised with the upcoming release of larger sizes! 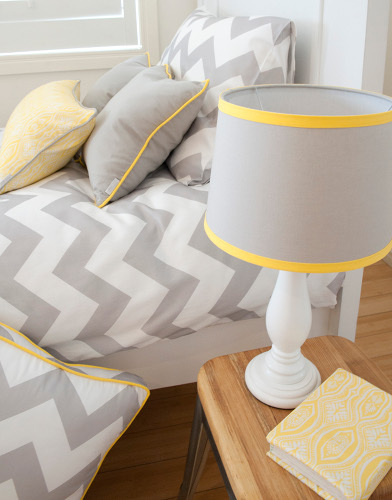 This gorgeous doona cover set will no doubt accompany your child to their digs at university, such is the sophistication of the chevron design. 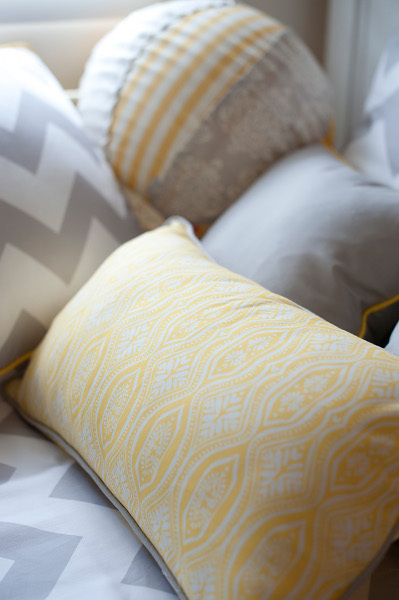 On trend both in pattern and hue, the soft grey and white will co-ordinate with even the most adventurous colour schemes. Made from luxurious pure cotton sateen, you can pre-order now for May delivery, in Single ($250) and King Single ($290) sizes from Kate Lauren Designs. The collection also includes cushions, lampshades, cot bedding and lanterns so make sure you have a browse if these are more suited to your current decor requirements.